Hey, Harrison Ford fans….it’s okay, you’ll love Alden Ehrenreich too! Make sure to keep reading to find out what I thought of newest movie in the Star Wars franchise. I’ll be the first to admit that I wasn’t sure what to think of someone other than Harrison Ford playing Han. I honestly didn’t think I would like it from the trailers. However, after a few scenes I really warmed up to Alden’s version of Han. He does a great job of portraying a young Han in this origin film. 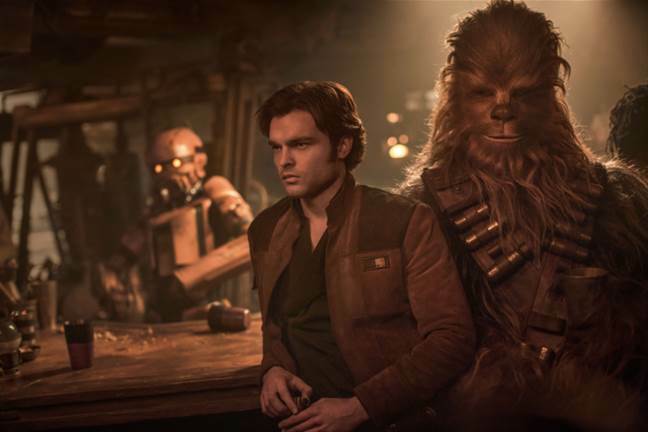 Solo: A Star Wars Story is story of young Han. Young Han finds adventure when he joins a group of smugglers, including a 196-year-old Wookie named Chewbacca. Indebted to a gangster, his crew plans to travel to the mining planet Kessel to steal a batch of valuable coaxium to pay him back. In need of a fast ship, Solo meets Lando Calrissian, the owner of the perfect ship for this dangerous mission…you know it…the Millennium Falcon. The movie is perfect for Star Wars and Han Solo fans. It will make a great family movie (as long as kids are okay with the other movies, there shouldn’t be any issues with this one). If, however, you are not a Star Wars fan (at least on some level), then this movie isn’t for you. It really is an origin/backstory movie for the fans. 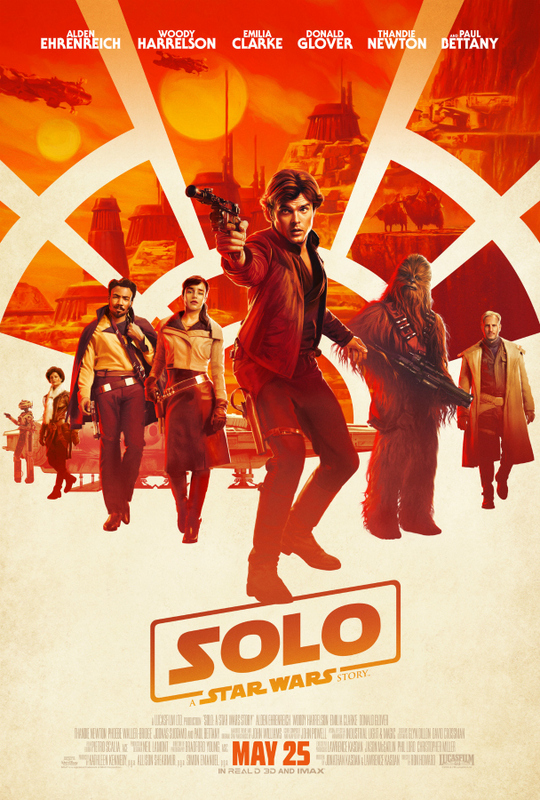 Solo: A Star Wars Movie opens nationwide Friday (5/25).